On behalf of the members of Centerville Fire-Rescue, we would like to wish you and your families a happy and safe holiday season. 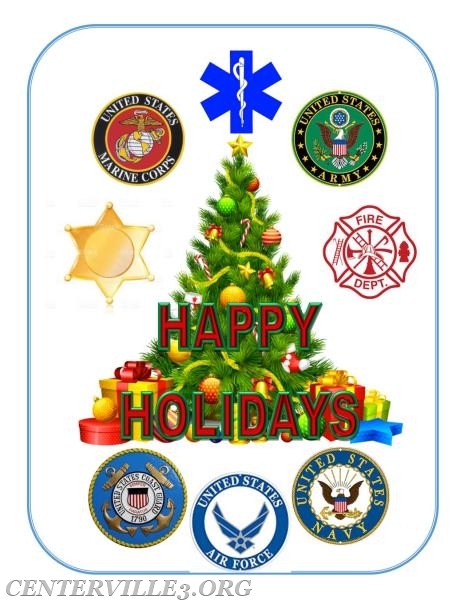 Please take time while enjoying the holiday cheer to take a moment to give thanks and say a prayer for those who are not home with their families this holiday season. Remember those firefighters, EMTs, police officers, and those in the US Military who are on duty protecting and keeping us safe.